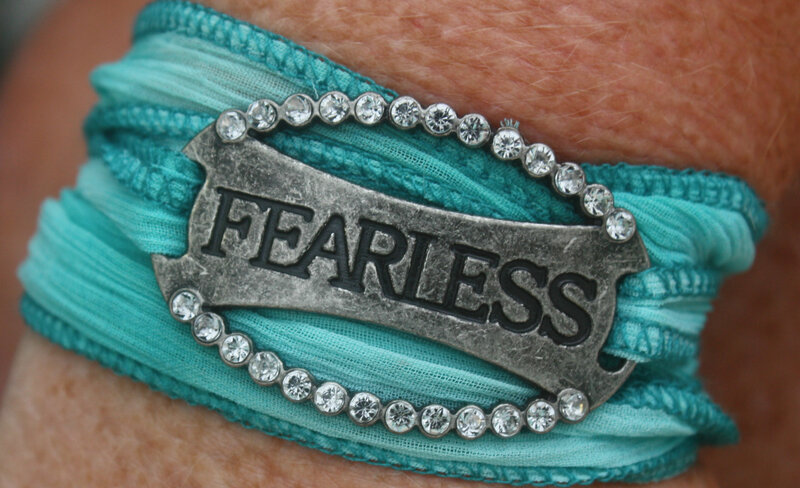 Simple and stylish way to show everyone how fearless you are with a little bling. 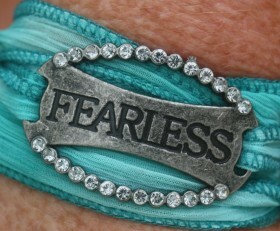 A teal, color of the ocean silk ribbon with a Fearless charm surrounded by clear crystals. Wrap around your wrist and either tie in a knot at the end or just tuck in the loose ends. Categories: Bracelets, New, Running Bracelets, Working Out, Wrap Bracelets, Yoga / Zen Life Bracelets.